Age 85 of O’Hara Township passed away peacefully on August 27, 2018, with his loving wife Salli and family at his side. He was born in Blawnox on August 26, 1933, the son of Charles W. and Vera R. Lodge. Buzz graduated from Aspinwall High School in 1951, where he excelled on the football field, playing varsity for 4 years. 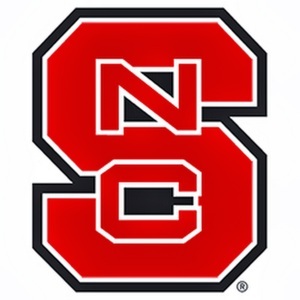 He was subsequently awarded a full football scholarship to attend North Carolina State University where he graduated with a degree in Textile Management in 1955 and was named to the All-Scholastic ACC and All-State North Carolina Football Teams. Upon graduation, Buzz entered the Army and was stationed in Germany. He was honorably discharged in 1957 with the rank of 1st Lieutenant. The last 34 years of Buzz’s career were spent at the Fox Chapel Area School District where he served as the Business Manager and as Secretary of the School Board. He was passionate in his efforts to assist in the development of the School District and the pursuit of excellence in education. Buzz was an active member of the Fox Chapel Rotary and served as President in 2005 and 2006. He was inducted into both the Aspinwall High School Hall of Fame and the Fox Chapel Area Schools Sports Hall of Fame. He continued to pursue his love of athletics by remaining active in tennis, biking and cross-country skiing. Buzz was humble, yet spirited, with a positive outlook. He loved spending time with family and close friends. His kind and gracious personality enabled him to continue to touch lives and make friends through the end of his life. Buzz is survived by his wife of 60 years, Salli, their children Penny Lodge (Mark Hale), Kristin Schilgen (Peter), and Scott Lodge (Melissa) and his grandchildren, Allie and Jack Schilgen and Cameron and Ethan Lodge. He is also survived by his brothers Charles (Helen) and Joseph (Sara) Lodge and numerous nieces and nephews. The family will receive friends Friday, September 14, 2018 from 4-7p.m. at the WEDDELL-AJAK FUNERAL HOME, 100 Center Ave., Aspinwall. A Memorial Service will be held on Saturday, September 15, 2018 at the Fox Chapel Presbyterian Church at 11:30 a.m. A reception will be held at the church following the service. In lieu of flowers, the family asks that Memorial Contributions be made to The Fox Chapel Area Schools Sports HOF Scholarship Fund at FC Area Sports HOF, c/o Ron Frank, FCASD Athletics Dept., 611 Field Club Rd., Pittsburgh, PA 15238 or to Fox Chapel Presbyterian Church, 384 Fox Chapel Rd. Pittsburgh, PA 15238.